So, you’ve decided to remodel your home. You’ve spent weeks poring over Pinterest and Houzz. You’ve spent the equivalent of a year at a full time job binge watching home improvement shows. You think you know exactly what you want and you know how much you want to spend. Now what? Do you do the work yourself or do you hire someone to do it? Do you hire a designer? An architect? Aren’t they the same thing? (Hint: they’re not) Or is it time for a contractor? Which contractor? The plumber? The electrician? Where do you start? You could probably do all the heavy lifting yourself. Surely, you can hire all those skilled trades and keep them organized, but let’s face the facts here. Doing it yourself is time consuming and, quite frankly, really hard work. Let’s not even talk about how stressful it is to make sure all of the skilled trades are on your jobsite when you need them to be there! The decision is obvious: you’re going to hire someone to manage your project. But who will you hire? If you want to keep it simple (and who doesn’t?) and not spend the next year with your life flipped upside-down living in a stressful construction zone, you’ll want to find a design-build professional to see your project through. A good design-build firm will handle your project from start to finish ensuring a smooth transition from design dream to remodeled reality. Design-Build, generally speaking, is your “one-stop construction shop”. The design-build concept combines the efforts of the designer, the architect, the skilled trades, and the general contractor. It eliminates the need for an independent designer to help with color selection, the need for an independent architect to draw up the plans, and the need for you to take on the stressful role of general contractor. 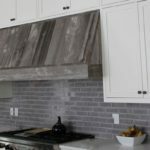 The design-build firm covers it all, which makes the renovation process very easy on the homeowner. 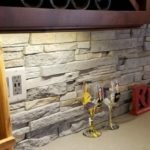 Benefits of Hiring a Design-Build Firm? When you hire a design-build firm, there is only one contract and one contractor to manage. After the design-build firm has been chosen, they will take care of all the details, including design, with the plumber, the electrician, and any other skilled tradespeople that will be involved with your project. The design-build firm also manages the schedule of each and every sub-contractor and helps you make choices to stay within your budget. The design-build firm also provides all of the design work for your space. 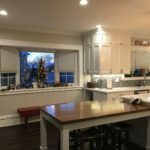 The general contractor will interview the homeowner to determine their needs and wants in regard to layout, materials, color selection, and budget goals. Then the design-build team draws up the plans and scope of work. 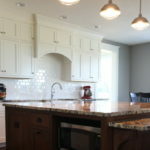 This involves a collaborative effort between the general contractor, the cabinet builder, the flooring installer, and the skilled trades, such as the electrician, the plumber and the framer. They work diligently as a team to transform all of the individual design elements into a cohesive finished product, aware of the structural needs of the home to ensure the safety of your family. When you hire a design-build firm, there’s a reduced risk of major work-stopping problems after your project has started. Each member of the design-build team brings their individualized expertise to the table and provides input to ensure no details are missed. For example, the design-build team would recognize the possible need for structural support if the plan calls for the removal of walls. If this detail is missed, it could result in damage to your home or injury to someone in your family. If this need isn’t recognized from the start, a change order will be needed halfway through your project and change orders mean additional costs. Design-build also provides a single point of responsibility. If there’s an issue with the design that causes a work stoppage or delay, the responsibility lies solely on the design-build firm, eliminating the need for the designer, the skilled trades, and general contractor to “fight it out” on your jobsite or play the blame game. You do not want to play referee between these folks when your house is gutted! With design-build, there will be no blame shifting. The design-build team simply goes to work to rectify the problem so the project can resume. The Design-Build Institute of America states that when working with a design-build team, design work and construction often occur simultaneously. As a result, the project can be completed up to 33% faster with costs as much as 6% lower than if the homeowner were to hire a separate designer and the skilled trades on their own. The Design-Build Institute of America further explains the risk of cost growth through change orders as a result of missed details can be reduced by 5.2% when hiring a design-build firm. When a design-build team is hired to handle all of the project details, an accurate estimate of costs can be developed prior to the start of work because all of the details have been considered. This graphic illustrates the time reduction involved with completing a home renovation project with a good design-build team. 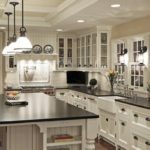 As you can see, many of the design and construction steps can occur simultaneously, saving the homeowner time, money and stress. A good design-build company will complete your project on time and on budget. Saving time and money (and avoiding all of those tension headaches) is a win for everyone involved. Are you ready to complete your project on schedule, on budget and with minimal stress? Let us know how we can help! Moose Ridge Design-Build Construction is ready to take your remodeling dreams from concept to reality. We’d love the opportunity to discuss your ideas and answer any questions you might have. Click here to contact Aaron to discuss your project!